The new build is up at both Humble and IndieGameStand. This interval was only about half the duration of past update intervals--and as a result this is a much smaller build update this time around. It takes the game from 63% complete to 68.999% complete. Unfortunately, a new build means a whole new .exe file to download. The game does NOT auto-update. If you purchased the game from IndieGameStand.com: Just log into your IndieGameStand Account, browse to your library, and you should see the new download link! An incredibly embarrassing mispelling of the word exercise (already fixed, but it missed the build cutoff)! A stat menu on death! The next build update after this one is scheduled for late January. Thanks everyone for supporting Tower of Guns! The after death info, really great! Nice addition. "68.999" lol. Great work blankslatejoe! Now that I've had a chance to play it... Wow! You've added so much in this build it's amazing. All the transitions and new content (Bosses!) are totally great. 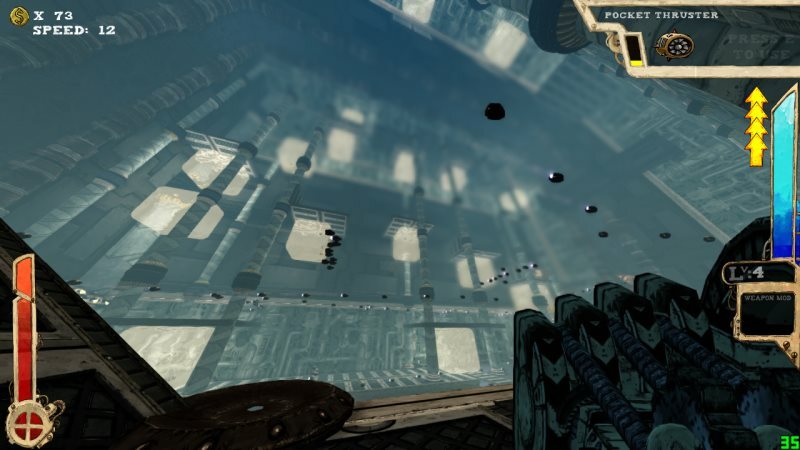 If it's not clear, there's a ring of pirouetting cannons on a rotating ring raining shells down from far above. 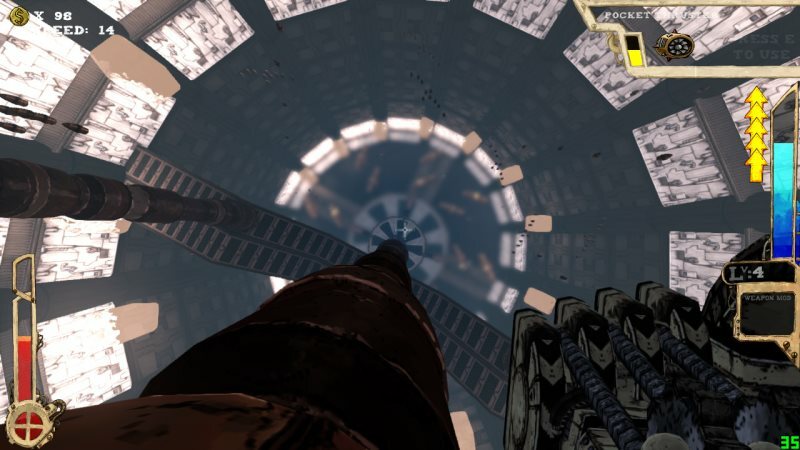 There's also a helix of motivators so you can fly up and around the level... if you dare. Also, Junkman perk now keeps loot around forever. Finally, the kegerator comes into it's own! Glad you're enjoying the new rooms, sgt! Anyway..more to come, of course!